Originally known as Sunny Plain Saskatchewan Incorporated as the Village of Bradwell, in Dec 1912 Some books say named after a Mr. Bradwell, Director of the Grand Trunk Railway. Although I also found a Chief Engineer on the GTP, Sir Collingwood Schreiber, who was born Dec 14,1831, in Bradwell Lodge, Bradwell-on-Sea, in England. Did he name it after his home town? Villages were named alphabetically on this rail line, starting with Allan. Located about 36 KM SE of Saskatoon, South of Yellowhead Hwy 16, on Highway 763 in the Rural Municipality of Blucher, #343 between Clavet and Allan, on the Grand Trunk Pacific Line, later to become the Canadian National Railway, 8 1/2 miles NW of Allan. Lat- 51º 56' 48“ N.
Long- 106º 13' 54” W.
This page unlike most of my history pages, in that it is not in SE Saskatchewan but like most of my pages, It also does not contain one person that is related to me. Not that I know of now at least. Reason this page exists, is some very important documents that were sent to me by a friend, named Grant Walker, from Studio City, CA USA. Grant shared these with me, and now with everyone else, thanks to him. 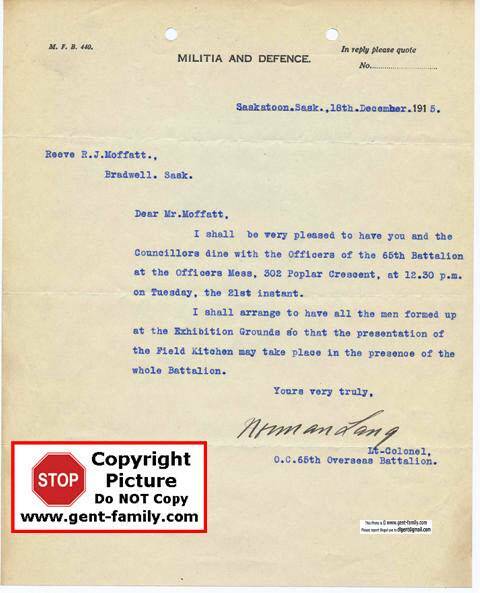 Norman was inviting the council of Bradwell to the Officers mess, at 302 Poplar Crescent at 12:30 PM on Tuesday Dec 21, 1915. They were to present the Field Kitchen. To Reeve Moffat, Bradwell SK, from C.C. 65th reporting the back part of the field kitchen, partially destroyed by fire. 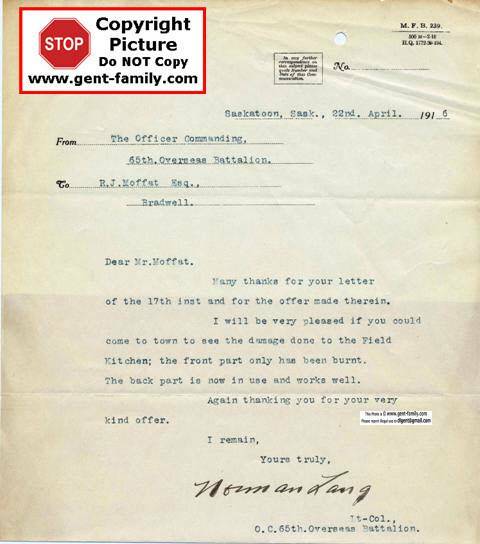 Thanking Mr. Moffat for his letter, and offer in the letter. Here he describes the front part was burnt, and the back part is in use. Wonder what he offered? Family farmed near Oak Lake MB until his father died. Family traveled to Saskatoon in 1885. 1886 they moved to Allan SK. Served 7 years on town council for Allan. part of the CEF, that served in France and Belgium during WWI. Married Jean MacDonald in 1920. 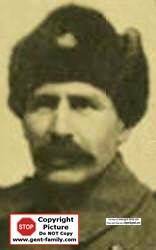 Jan 1910, Norman Lang was one of the First Council Members of the RM of Blucher #343, He represented Division 1. He was part of the Farmers Union Committee that campaigned to form the Sask Wheat Pool. Bank of Hamilton was at Bradwell, ca 1911. American Lumber and Supply Co. was in Bradwell, ca 1908.
could be son, brother, father? Brock Carlton was Sec-Treasurer of the RM, living in Bradwell. Brock died Feb 11, 1981. Bradwell was in the Humboldt Dominion Electric District. 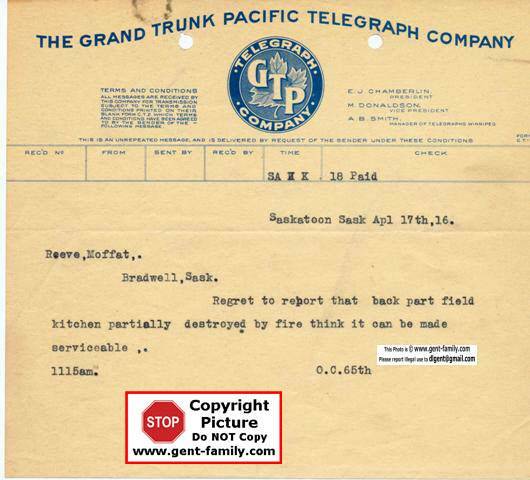 They had Telephones, Bradwell Rural Telephone Co., Agent for Sask. Government Telephone Co., CN Telegraphs and Express, and Public, and High School. Bradwell Hotel, Lot 3,4 & 5, in block 6, Plan AD 71 on Struan St.
North American Supply Co. Ltd.
North Canada Lumber Co. Ltd.
Had a daughter Jean Elizabeth Kallio, nee Rublee, (Army Medical Corps). They had a total of 6 sons, and 2 daughters, so I am missing some. Dr. O. E. Rublee came in 1908. Saskatchewan Co-Operative Elevator Co. Ltd. In 1936 the Bradwell man was found From radio carbon testing at the University of Saskatchewan in 1970, the skeleton, with skull, has been proved back 5,000 years. It was found in a Bradwell gravel pit while they were doing road work. dated to 2,800 BC +-75 years. In 1970 these were the oldest bones found in Saskatchewan. Bones were found by Pius Fischer, who still lived in the Bradwell area in 1970. Found at an elevation of 1,890 ft.. Numerous eagle claws were found nearby, probably from a necklace, and a small piece of flint, and a chipped scraper. He was 40-45 years old, approx 5 ft 8“ tall 1986 the skull was stolen, and later found and returned.